Composed between 800 and 950 AD, Narayanas Hitopadesa is one of the best-known of all works in Sanskrit literature. A fascinating collection of fables, maxims and sayings in verse, it combines a wide variety of writings from earlier authors in one volume - a garden of pleasing stories created to provide guidance, wisdom and political advice to the reader. 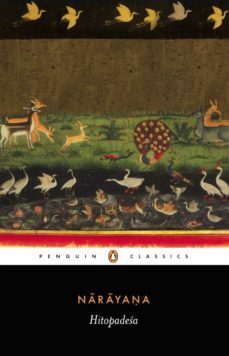 With elegance and great humour, Narayana weaves a framework for the classic tales, here narrated by animals who quote from and reflect on stories from the Pancatantra and other traditional sources. At once an anthology of folk wisdom and an original and satirical work in its own right, the Hitopadesa has been deeply admired and widely read for more than a thousand years for its humorous and profound reflections on human lives, loves, follies and philosophies.